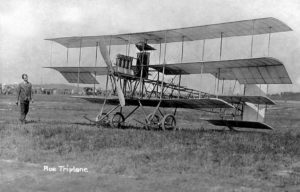 On January 25, 1915, it was announced in the Providence Journal newspaper that the Providence firm of B. Stephens & Sons at Fields Point had constructed a new type of “hydro-aeroplane” which they would begin initial trials with the following week. A lot rested with the success of this project as representatives of three foreign governments were interested in purchasing these planes. The motor utilized for the project was the “Ashmusen type” produced by the Taft-Pierce Company of Woonsocket, R.I., capable of delivering 105 horsepower. It was said to be “of the horizontal opposed type”, with an eight-and-a-half foot diameter propeller, that would spin at 900 to 1,000 revolutions per minute. The new hydroplane had a 33-foot wingspan, with the lower wing being shorter than the upper. The exterior of the boat was finished in African mahogany, and the inside with cedar covered with marine glue and canvas. Four watertight bulkheads lined the interior, making the boat, “practically unsinkable”. The hull was “double concaved” to give it less resistance as it moved across the water. Shelby seamless tubing was used throughout, with cold-rolled steel fittings. The fuel tanks could hold 80 gallons, giving the craft a flight time of over nine hours. 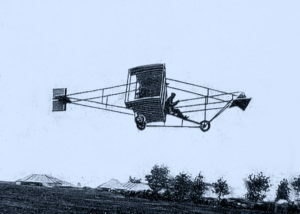 Control of the aircraft was done with a steering wheel likened to that of an automobile. Foot pedals worked the elevators. 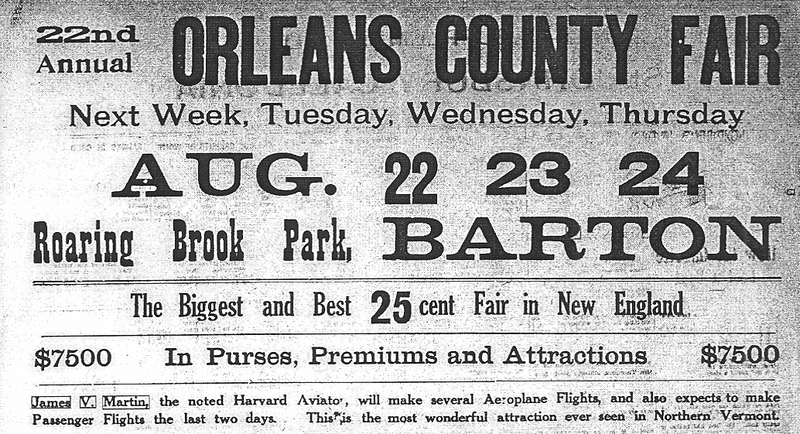 On June 24, 1910, The Providence Journal reported, “Joe Seymour, in a private test at Narragansett Park last evening, accomplished the first successful aeroplane flight ever made in New England.” Narragansett Park, a.k.a. 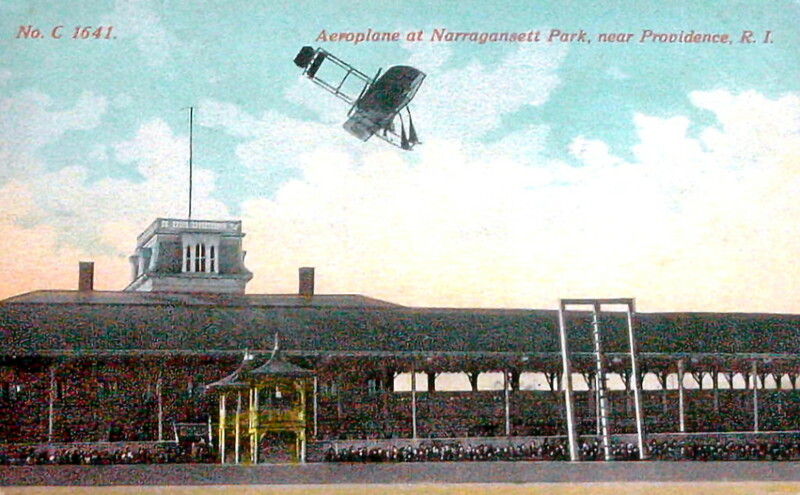 Narragansett Trotting Park, was a race track that once existed between present-day Park Avenue, that Gansett Avenue, and Spectacle Pond, in Cranston, Rhode Island. 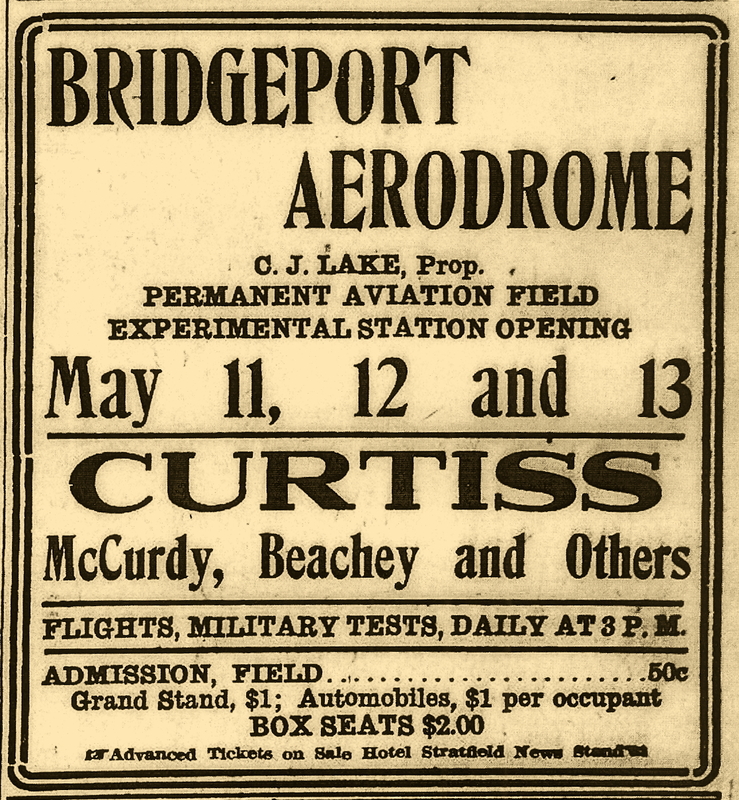 Seymour accomplished his feat in a Curtis bi-plane. 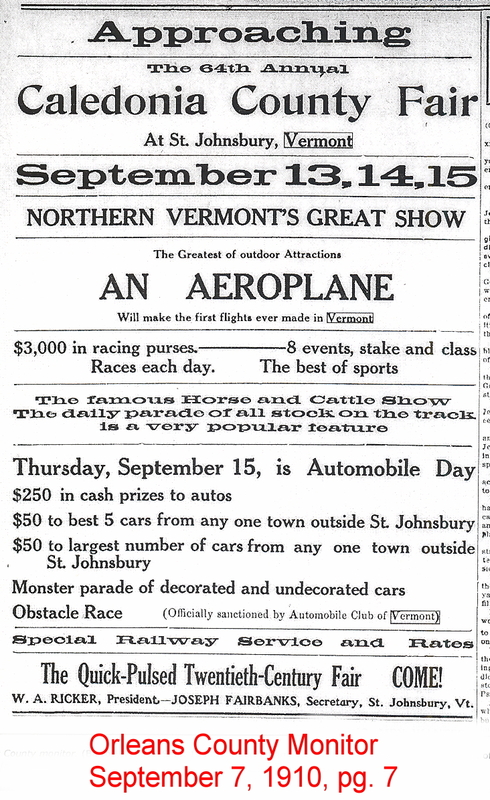 There is some debate as to this actually being the first airplane flight in New England. 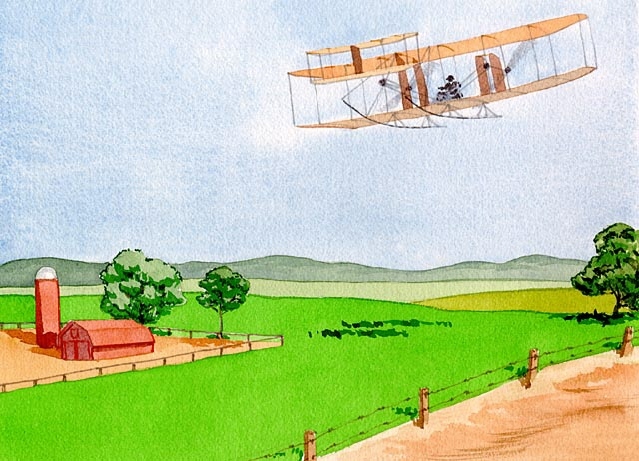 There seems to be mounting evidence that Gustave Whitehead flew an airplane in Connecticut in 1901, two years before the Wright Brothers. 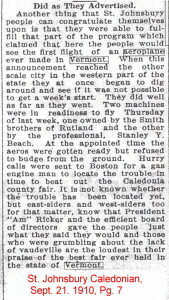 And a recently discovered (Woonsocket) Evening Call article dated April 23, 1910, described the flight, and subsequent crash, of Greely S. Curtis at Plum Island in Newburyport, Massachusetts. While Seymour’s flight may not have been the first in New England, it might have been the first for Rhode Island. Mr. Seymour had arrived at the park earlier in the day in preparation for an exhibition he was to give. 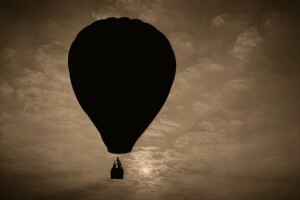 However, mechanical difficulties prevented him from flying until it was nearly dark. Not wanting to disappoint the two-hundred or so spectators who had gathered, he decided to make a test flight once around the park, but never climbing above an altitude of 200 feet. 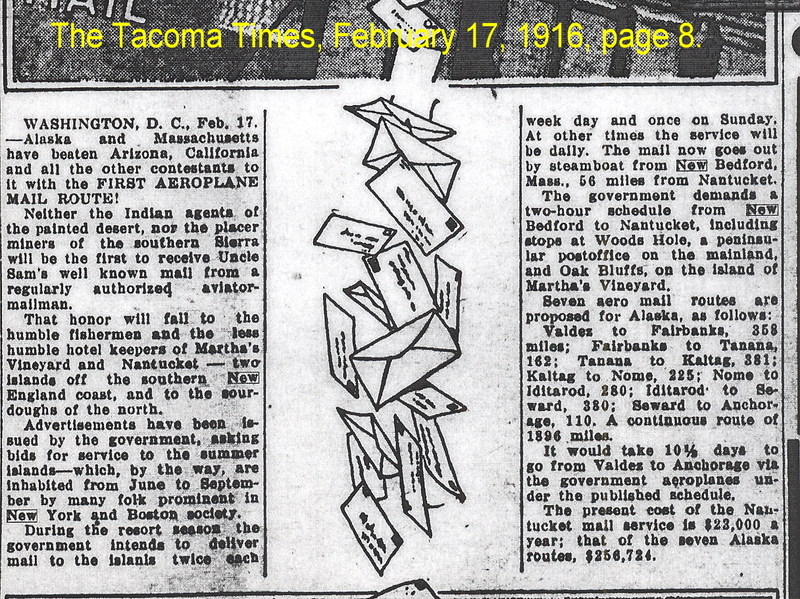 Such early flights were still considered newsworthy for 1910. 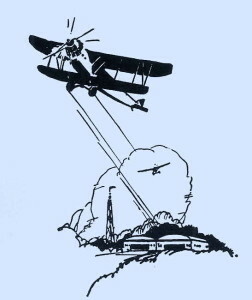 On the day Seymour crashed his plane, it was reported that a man named William Hilliard had flown a Burgess bi-plane for a distance of three miles while maintaining an altitude of just seventy-five feet in Newburyport, Massachusetts. 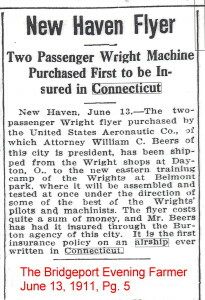 An article that appeared in the New York Tribune on March 2, 1910 stated that A. M. Herring and W. Starling Burgess, of the Herring-Burgess company, made a successful flight at Marblehead, Massachusetts, the day before. 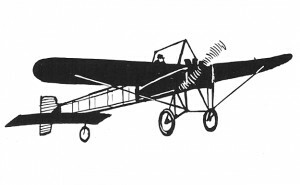 The Herring-Burgess company produced airplanes in Marblehead, Massachusetts, in the early 1900s. 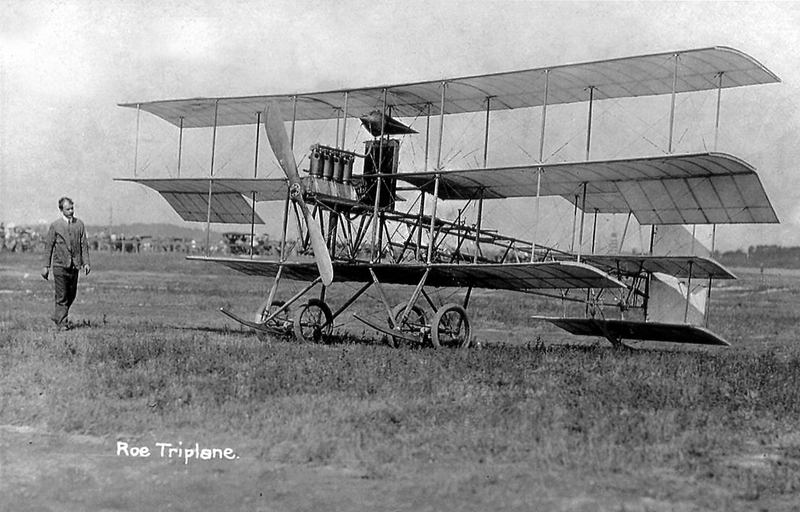 Their Flying Fish aircraft was reported to be the first airplane to fly in New England. It was known for the eight “fins” attached to the upper wing for better stability. 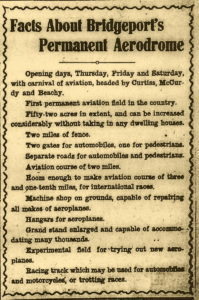 Boston, March 1 – A. M. Herring and W. Starling Burgess launched today at Marblehead a new heavier-than-air flying machine. Its first trip was said to be successful. It is an aeroplane, frankly intended to avoid the Wright patents. 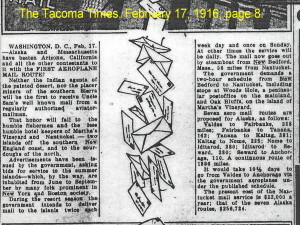 Instead of the balancing planes, over which the Wrights are suing, this machine has a leg of mutton arrangement on top of the plane. This is made to work automatically so that as the machine swerves, the fin will be buoyed up by the air and bring the mechanism back to a lateral balance. 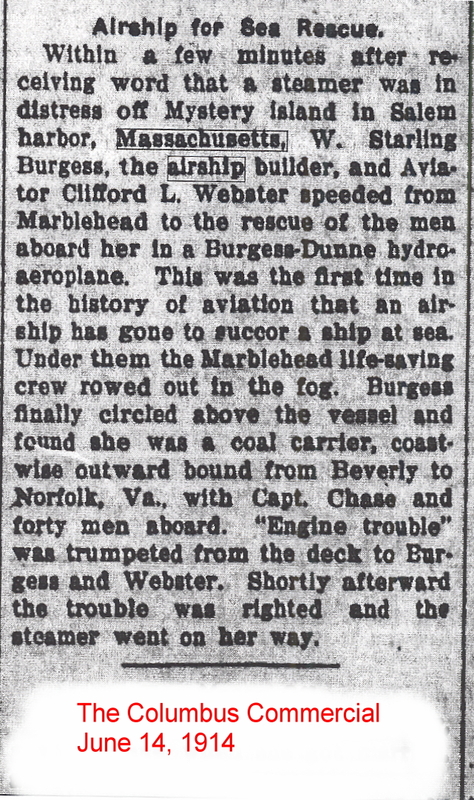 Newburyport, Mass., April 17, – Over the marshes of Plum Island the Herring-Burgess aeroplane “Flying Fish”, made three successful flights to-day. 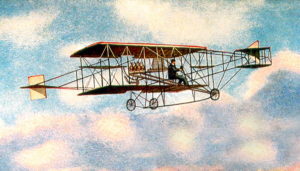 Arthur M. Herring of Hammondsport, N. Y. piloted the machine in the first flight. 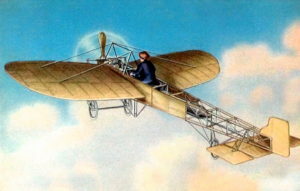 After alighting easily at the river edge after a 250-yeards run, the craft was turned over to W. Sterling Burgess, who made two short flights. 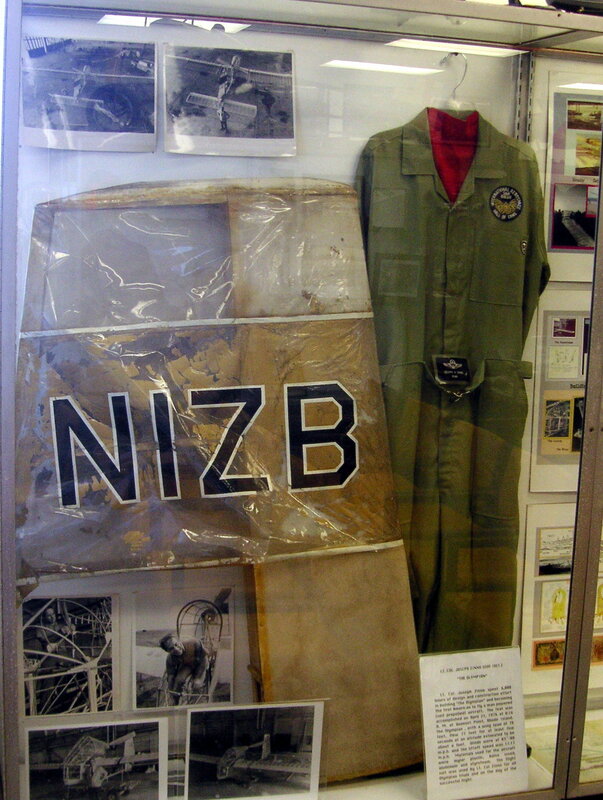 Associated with Mr. Burgess and Mr. herring are Norman Prince, a well known young Boston millionaire, and Professor J. V. Martin, manager of the Harvard Aeronautical Society. 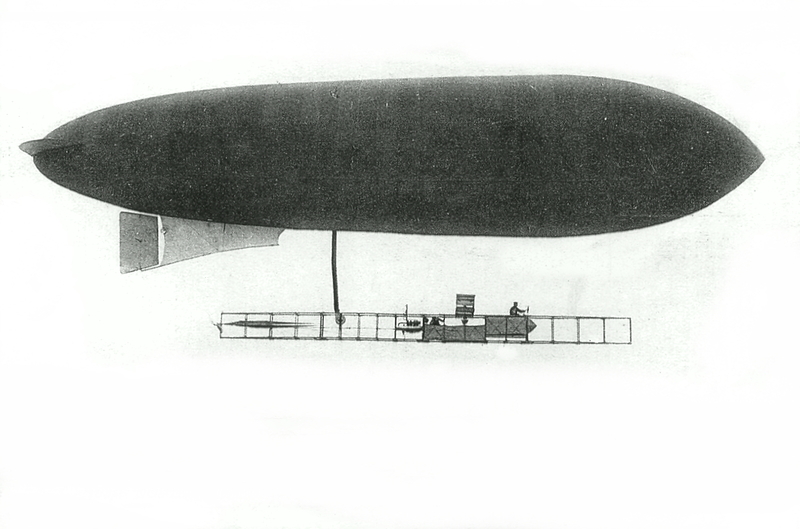 Mr. Martin has made flights in many French airships. The Herring-Burgess biplane is about the same size and somewhat like the Herring-Curtis machine, and much smaller than the Wright brothers machine. One of the features of the machine is entirely different from any other machine and designed especially to avoid litigation with the Wrights. To prevent it from tipping over it has eight overhead fins or sails, four near the center and two on each end. 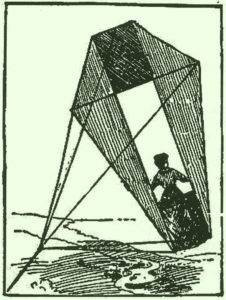 They are shaped like a leg-o-mutton sail and are believed by Mr. Burgess to be a great improvement over all other devices to prevent tipping. Another feature is the use of skids or runners instead of wheels for making a rise into the air from the ground. There are three of these, shaped like snow skids and have steel runners like an ordinary child’s sled. Mr. Burgess believes this to be a great improvement over the small wheel. The machine complete weighs 408 pounds. It is built of laminated spruce and is claimed to be stronger than any machine yet built. It is 26 feet 8 inches wide and 29 feet long. The control is by the right hand and right foot, and steering is done by a horizontal wheel with the left hand. It has a 4-cylinder, 29 horsepower engine capable of developing 30-horsepower. The radiator is very light, being honeycombed. Messrs Herring and Burgess have spend three years of experimenting with it. 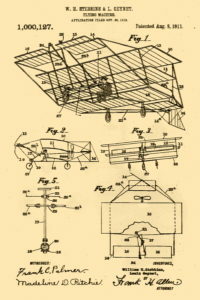 The curves of the planes are different from the Herring – Curtiss machine and the angles of the wings steeper, with will allow the machine to rise earlier. It will lift going at the rate of 26 miles an hour, while the Herring-Curtiss lifted at 37 miles an hour. The wings are of strong silk, treated with celluloid and are airtight and gastight. The skids allow a much more graceful landing than the wheel would. As they slide along like skis, the jar will be broken. The machine is called the Flying Fish. 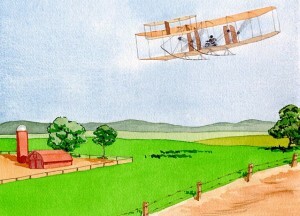 She is the first aeroplane to make any flights in New England. The Flying Fish was later involved in three accidents during test flights at Plum Island, Massachusetts. 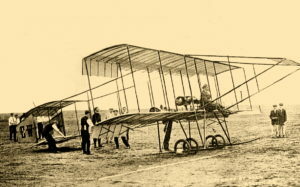 The first occurred in late June, and the second about three weeks later on July 9, 1910, when Hungarian military aviator Lt. Alexander Pfitzner made a crash landing. 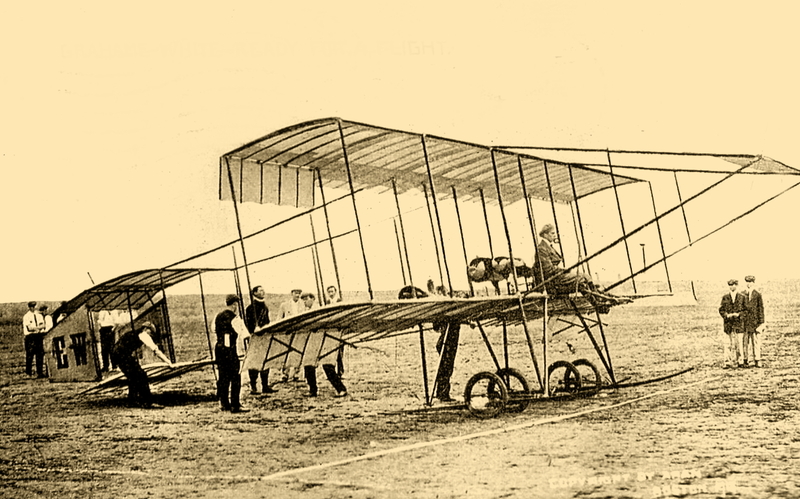 The plane was repaired, but crashed again on August 4, 1910, when William Bowman wrecked and was seriously injured. Originally published in The Smithfield Times magazine, August, 2015. The patrolman was growing weary of the young woman’s refusal to answer his questions, but showed patience by reminding himself that she was obviously ill. One reason he loved his job was because of the unending variety of situations he encountered, and this one was certainly different. Looking at the woman, he wondered why someone so pretty would do what she did. There had to be more to the story, but whatever it was, she wasn’t telling. 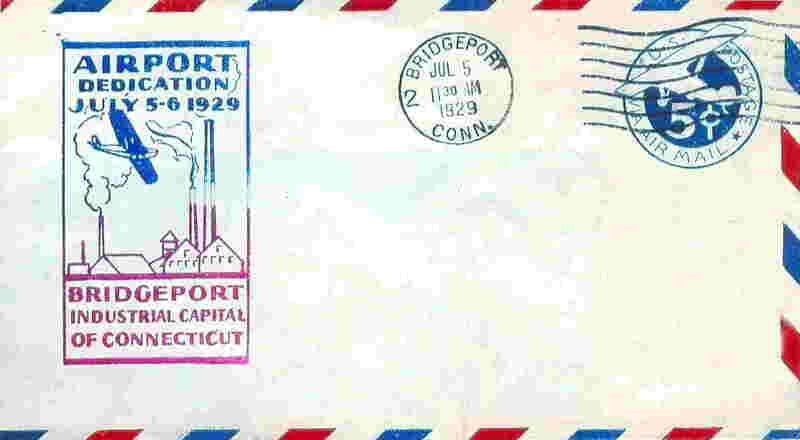 The date was May 22, 1936. The setting was the Boston Airport. (Today known as Logan Airport.) Earlier in the day the woman had arrived at the hangar belonging to Intercity Airlines and asked to take a one hour observation flight over the city. She had taken several such flights in the past and always with the same handsome young pilot whom she requested again. However, that pilot, she was told, was unavailable that day, and was asked by the operations officer if she would consider flying with someone else. After some hesitation she agreed, and the job fell to Charles W. Sutherland. Almost from the start something about the woman made Sutherland uncomfortable, but he couldn’t say exactly what that “something” was. She was attractive and well dressed, wearing a white linen skirt under a finely tailored blue coat. Her hair and makeup were perfect. Maybe that was it; she looked more like she was ready for an important date than someone who wanted to go flying. They climbed into an open-cockpit bi-plane, of the type commonly seen in old World War I movies. The seats were in tandem. 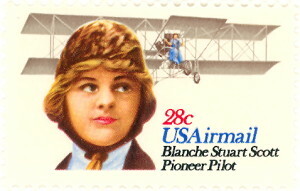 While Sutherland took the front seat where the pilot’s controls were located, the woman sat in the rear. There was a rearview mirror, similar to those in an automobile, mounted above the front cockpit which allowed Sutherland to periodically glance back at his passenger as he went though the pre-flight safety check. Although Sutherland’s gut told him something wasn’t right, the woman’s demeanor seemed normal. Flying in such open aircraft generally required a leather helmet and goggles. The helmet kept the wind from pulling at ones hair and offered minimal protection in an accident, while the goggles protected ones eyes from wind and grit. The woman seemed reluctant to don the headgear, and Sutherland wondered if it was because of her stylish hair-do, but finally and carefully, she put it on. Seeing that the woman was settled in, Sutherland started the engine and taxied out to the runway. The weather was clear and seasonable and he hoped the flight would be nothing more than routine. The takeoff and rise to altitude went smoothly, and in a few minutes he leveled the plane at 10,000 feet and began a long lazy circle over Boston Harbor that would take them around the city and back to the airport. Things appeared to be going well, and the pilot began to wonder if his fears had been unfounded. Periodically glancing in the rearview mirror, he saw that the lady seemed to be enjoying the flight, but then she suddenly unfastened her seatbelt and begin shifting around in her seat. At one point she leaned way out of the cockpit to peer over the side. Sutherland turned to ask if she was alright and she nodded, but didn’t smile. To him, it appeared as if she was trying to make up her mind about something – was she going to jump? Sutherland couldn’t take the chance. He put the plane into a steep dive with the intent of returning to the airport, but as the plane descended the woman’s behavior became more erratic. At 1,500 feet she suddenly pulled off her helmet and goggles and tossed them overboard, letting her thick brown hair billow in the slipstream. Then she tried to climb out of the airplane! As she put one leg over the side Sutherland knew he had to act quickly. Unfastening his own safety belt, he stood up, reached back, and grabbed her by the only thing her could – her hair. He then used his brawn to pull her back into her seat, but by this point she was intent on finishing what she’d come to do. She fought back, hitting, scratching, swearing, and biting, but Sutherland held tight. There he was, standing up in the airplane roughly 2,000 feet over the city, with one hand on the control stick and the other gripping the woman’s hair, struggling to keep the ship steady as he searched for the airport. Strong winds coming in off the ocean buffeted and rocked the plane making the situation all the more difficult, for it wouldn’t take much to toss both of them into space. The battle against life and death raged for the next fifteen minutes over the skies of Boston. There was no way for Sutherland to call for help, and there was nothing anyone could do even if there had been. He was on his own, trapped in the sky struggling with a deranged woman who could at any moment bring both of them hurtling to their deaths. She screamed and swore at Sutherland, calling him every name in the book, and a few that hadn’t been invented yet, all the while trying every move she could think of to get him to let go. The question was; did she want to kill herself more than Sutherland wanted to save her? She flailed and twisted. Sutherland locked his arm and continued to hold tight. 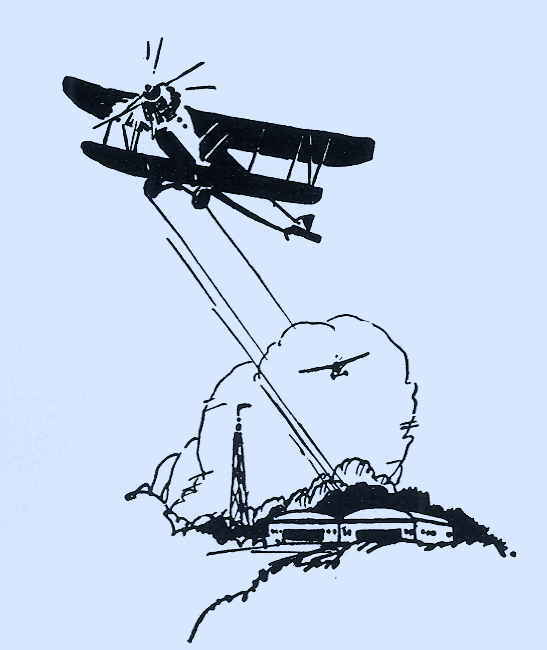 Every time he brought the plane closer to the ground she would cause him to jerk back on the controls and regain altitude. As the low flying plane passed erratically over the city, people on the ground thought it was some sort of publicity stunt, but for what they weren’t sure. The battle continued, and both participants grew tired. Sutherland still held firm, but his arm was cramping. He could feel his strength ebbing and wondered how much longer he could hold on. Then an idea came to him. He swung the plane hard throwing the woman off balance and causing her to tumble into her seat. In that few seconds it took her to recover, he switched hands, and battle started anew. Spotting the airport ahead, he made a straight line for it. Boston’s airport was a busy one, and he hoped other air traffic would see him coming and get out of his way. If it didn’t, then his efforts would have been for naught. Miraculously, he managed to land the plane in his contorted position, and as soon as the wheels touched the tarmac the woman stopped fighting, slumped in her seat, and accepted defeat. Airport employees raced out in a car to meet them and gave Sutherland a hand in holding the woman until Boston police could arrive. 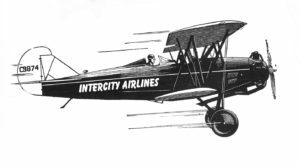 Even though the woman had flown with Intercity Airlines before, nobody had ever bothered to ask her name, for such things were not required in 1936. She carried no identification, and when police questioned her all she would say was, “Just give me a gun.” Exasperated, they took her to a nearby hospital for evaluation where she was admitted as a “Jane Doe”. Her picture was posted in local papers hoping someone would recognize her, but follow-up articles for this story could not be located. As for Mr. Sutherland, he was hailed as a hero, and he no doubt decided to trust his instincts more in the future. 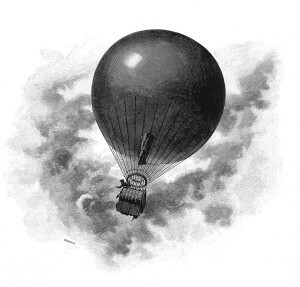 What motivated the pretty young woman to try to end her life is unknown, but her actions made for what is perhaps the most unusual aerial battle to ever take place over Boston. 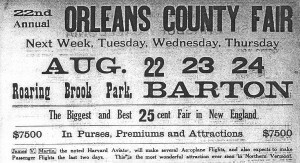 On August 22, 23, & 24, the 22nd Annual Orleans County Fair was held at Roaring Brook Park, in Barton, Vermont. 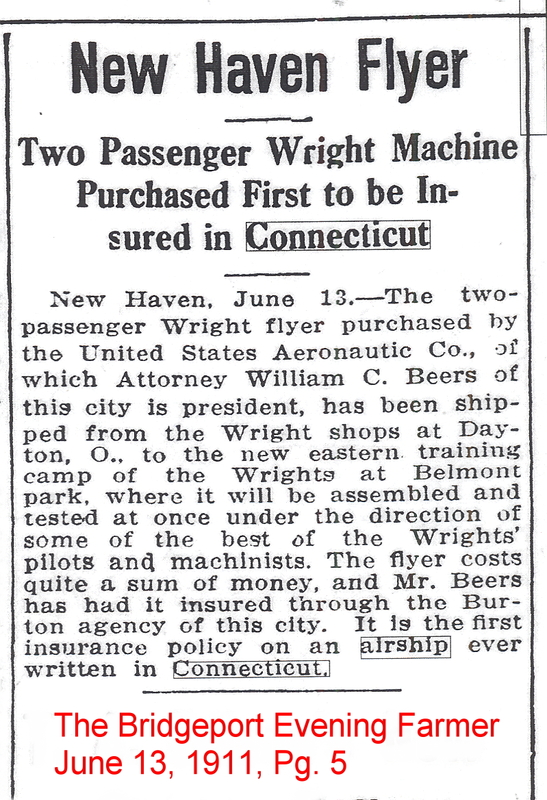 It was reported that aviator James V. Martin (1885-1956) would be there with his “passenger aeroplane” to take customers aloft, “thus constituting the first passenger flights in the state”. 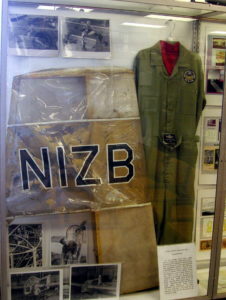 It was further reported that Martin’s wife, one of the few women aviators at the time, who be with him at the fair. 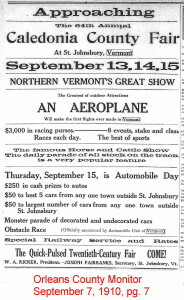 St. Johnsbury Caledonian, “First Passenger Flights In Vermont”, August 16, 1911 – supplement. 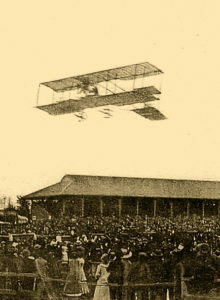 Clifford B. Harmon of Greenwich, Connecticut, is reportedly the first man to fly across Long Island Sound from Garden City, Long Island, to Greenwich, Connecticut, on August 20, 1910. 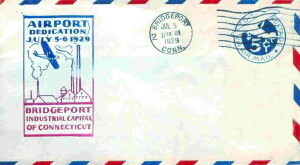 In an age when man travels in space aided by computer technology, it might seem trivial to mention something as mundane as an airplane flight across Long Island Sound. 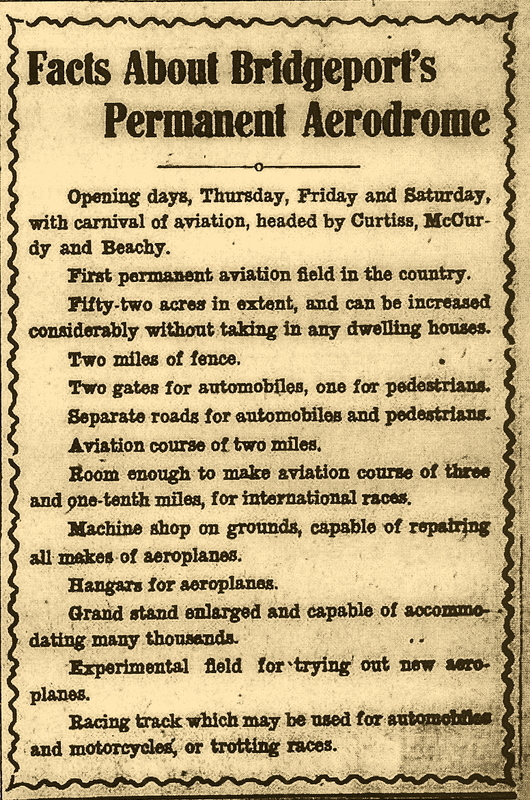 Yet such a trip was newsworthy in 1910, for nobody had ever done it before, and the press was eager to report any and all aviation “firsts”. After all, men had only been using airplanes for seven years. 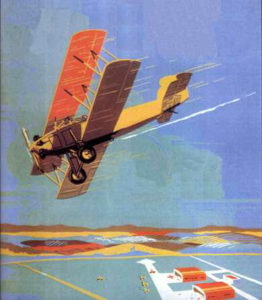 Mr. Harmon was described as a “business man and amateur aviator”, who’d made several previous attempts to fly across the Sound without success. 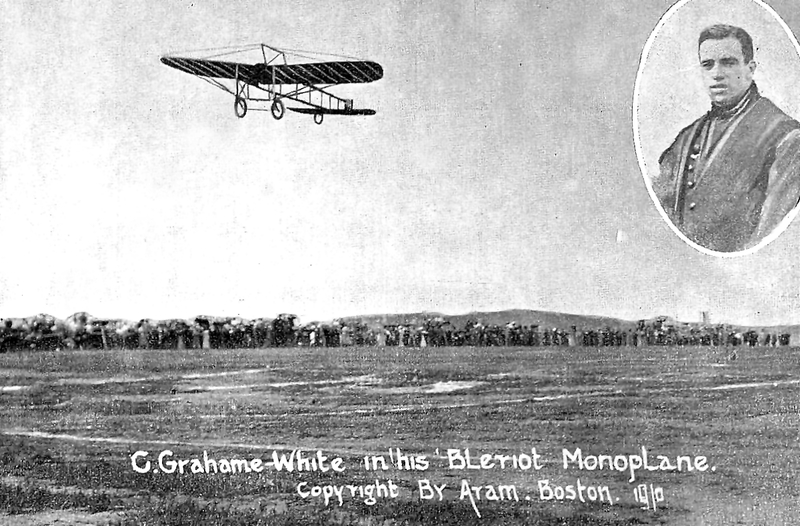 Prior to beginning the day’s flight, Harmon met Charles K. Hamilton at the Garden City, L.I. 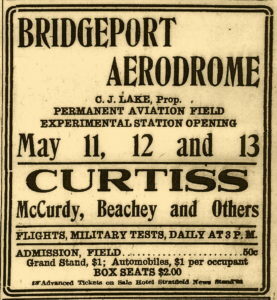 aviation field and took him as a passenger on a test flight of his Farnum biplane. After circling the field and finding the plane in good order, he landed and discharged Hamilton before starting his flight across the Sound. Once aloft, Harmon caught a good tail wind and headed out across Hempstead Bay and Long Island Sound. There he flew over the water, at one point reaching an altitude of 1,000 feet. 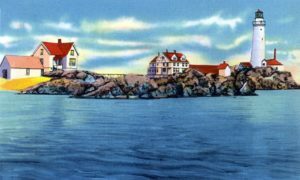 As he neared the Connecticut shore he dropped to 400 feet and circled the Larchmont Yacht Club where he knew some friends of his were dinning. From there he headed towards the estate of his father-in-law, Commodore E. C. Benedict, where a section of lawn had been mowed and leveled for the occasion, but in the fading dusk he had trouble locating his intended landing spot, and came down instead on a patch of ground about a quarter of a mile away. As he touched down, his plane ran into a section of tall grass which caught the wheels and broke the chassis and some wires connected to the wings. Harmon, however, was unhurt. He’d made the 28 mile trip in just 30 minutes. Shortly after his landing, Harmon’s wife arrived by automobile, having watched his trip across the sound through a large telescope at her father’s estate. For successfully completing the trip, Mr. Harmon was awarded the Doubleday, Page Company Cup, said to be worth $2,000. 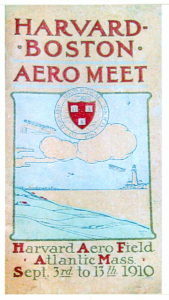 Norwich Bulletin, “Aeroplane Trip Over The Sound”, August 22, 1910. According to a small newspaper article which appeared in The San Francisco Call, Miss Blanche Stuart Scott (1885-1970) was the first woman to fly an “aeroplane” in New England. 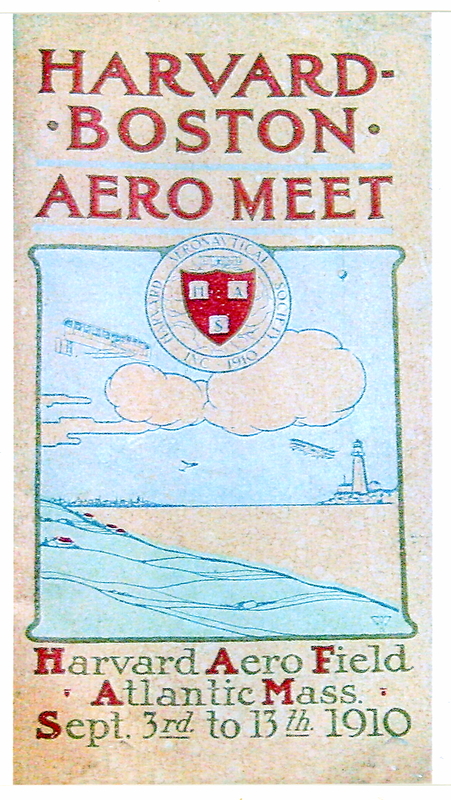 The event occurred at the 3rd Boston Aero Meet scheduled to be held at Harvard Field in Squantum, Massachusetts, from June 29, to July 6, 1912. 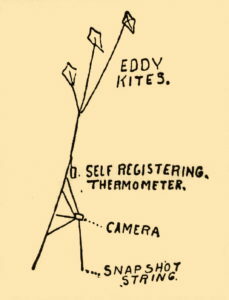 The article indicates that Miss Scott flew before Harriet Quimby (1875 – July 1, 1912). Miss Quimby was famous for being the first woman in the Unites States to earn a pilot’s license, and for being the first woman to fly across the English Channel on April 16, 1912. 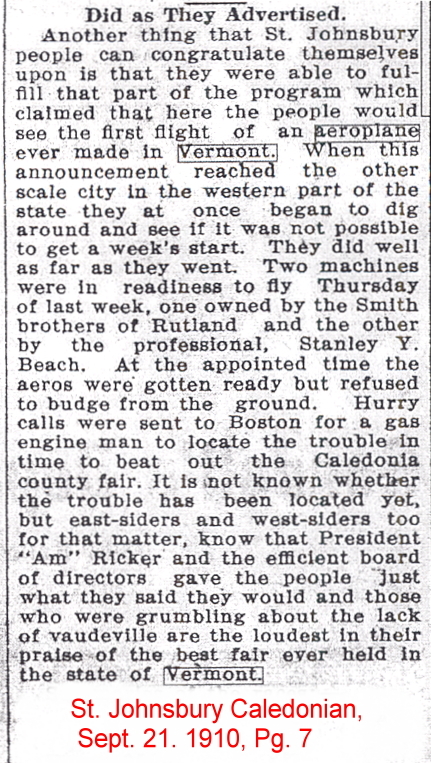 The 3rd Boston Aero Meet was scheduled to run from June 29 to July 6, but was cut short on July 1st when Miss Quimby and a passenger were killed when her plane crashed in Dorchester Bay. Much has been written about the lives of both Miss Scott and Miss Quimby. 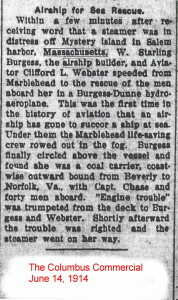 Source: The San Francisco Call, “Miss Blanche Scott Obtains Aero Honors”, June 30, 1912, Page 22.